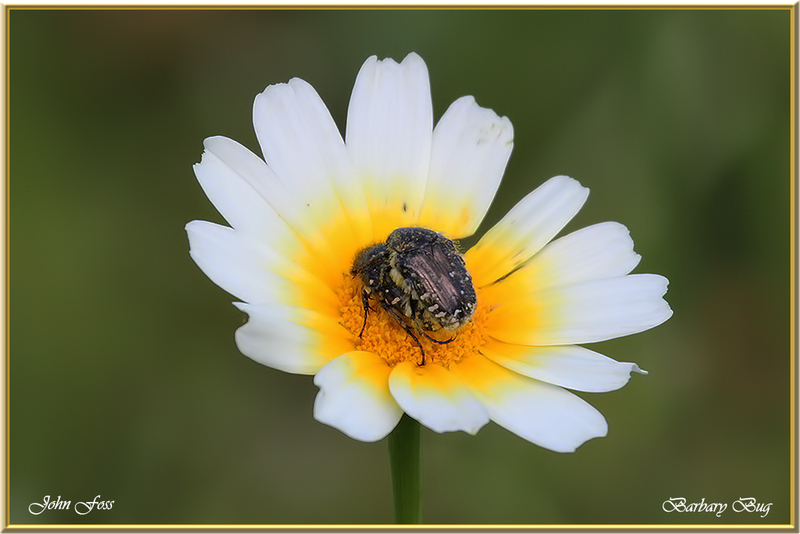 Barbary Bug - a flower beetle that belongs to a group of beetles known as flower chafers. The are over 4000 species of chafers! 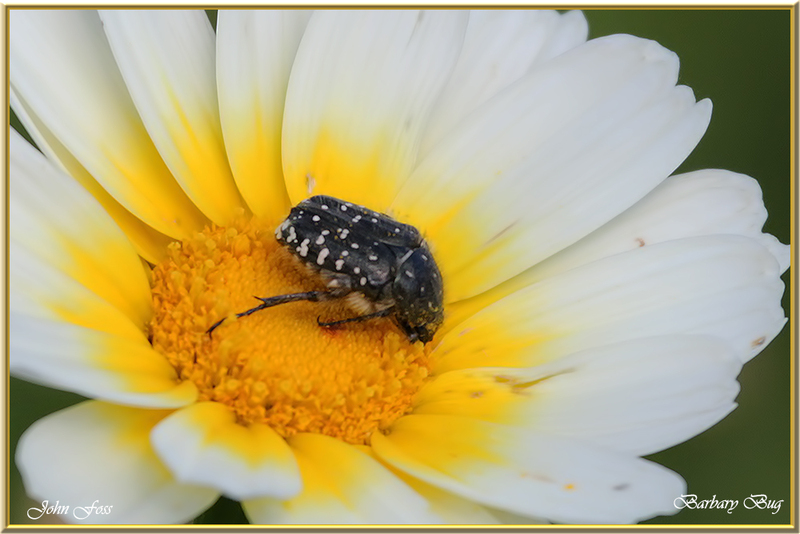 They are considered a pest as these bugs do not just feed on the pollen, theydamage the flower itself. Often seen feeding on Crown Daisies as seen here. Photographed in Praia da Rocha Portugal.